A few friends have had to change their travel plans, which means I have some openings for humpback whale trips in Tonga this coming August and September. Arrive 9 August; Depart 18 August. 2 spots. Arrive 29 August; Depart 7 September. 2 spots. Arrive 7 September; Depart 16 September. 2 spots. I get distracted easily, so the fact that this will be my 15th(!) 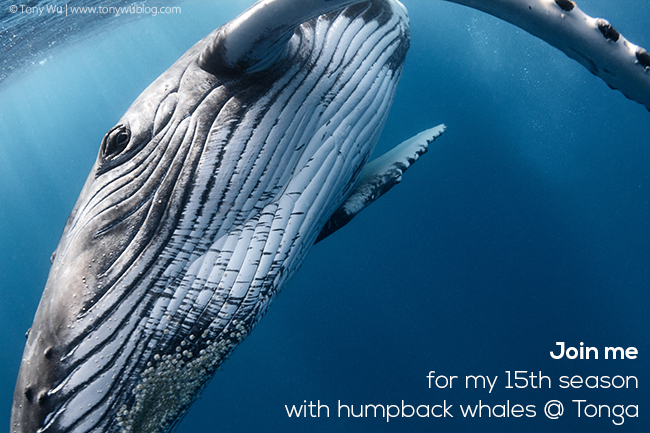 season with the humpbacks speaks volumes about how captivating these marine mammals are. Please drop me a note if you'd like to consider joining the fun.